Many of you have tried on your bathing suit and beach wear…and are not happy with what you see in the mirror or how the clothing fits or doesn’t fit! This is a common problem every Spring that brings clients into my office for help with getting back into shape. The blog that follows goes into more depth of concerns and the most commonly chosen options to deal with those challenges. Read on…then call for your consultation! Celebrity Body Sculpting or Body Contouring has paved the way for the general population to see, adore and emulate. With increased celebrity presence in the public eye through social media, their influence is much more far reaching. Celebrities have set the “ideal” body types and facial features that are seen as desirable in our culture. So much so, that it isn’t rare to have patients request lips like Angelina Jolie, a nose like Kate Middleton, or arms like Michelle Obama. With 2015 seeing the celebrity rise of the younger Kardashian sisters, Kylie and Kendall, their peers took notice of their cosmetic enhancements. With the Millennial generation practically living on Instagram and Facebook, when the celebrities they follow, such as the younger Kardashians, have cosmetic procedures, this greatly contributes their desire to get these procedures as well. Also, the aging prevention mindset is much more present with Millennials who are getting injections and other non surgical procedures in their 20s. This is reflected in the American Academy of Facial Plastic and Reconstructive Surgery (AAFPRS) 2015 survey, in which 64% of their members experienced an increase of procedures performed on this under 30 age group. Boomers, GenXer’s and Millennials in their 30s certainly aren’t exempt from the influence of social media on their perception of an ideal body and face. They see the Body Sculpting procedures that celebrities have received and use this as a springboard to creating a younger looking, contoured version of themselves. Relative to their degree of aging, this would include both the non invasive procedures, injectables, as well as surgeries. What Does Body Contouring Include? This array of Body Sculpting cosmetic procedures can help you get the body you desire when you may not have access to a personal chef, stylist, trainer and unlimited financial resources like the celebrities. I want my patients to be healthy and feel good in their own skin. Finding the right Body Contouring procedures for you can build confidence that can help in all areas of life, including the possibility of a job promotion and finding a love connection. Let’s talk now and design your ideal Body Sculpting Plan so that you can have your best, healthiest body for the summer swimsuit season… and beyond. 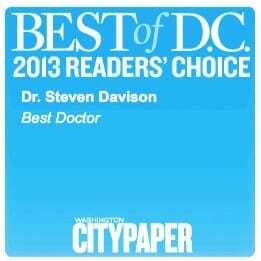 Visit www.davinciplastic.com to schedule a consultation. If you’re going to make the investment in getting a Facelift, you want it to last as long as possible. Even though a Facelift can take up to 10 years off your appearance, your skin will continue to age. This means that gravity will have its affect as your skin loses elasticity and collagen – over the years following your surgery. You can’t stop the aging process, but you can help keep the age reversal affects as long as possible by implementing the habits and tricks suggested in this blog. You will love your more youthful appearance with a Facelift and subsequently you’ll want to help the youthful effects to stay in the most effective way. Injectables, such as Voluma, are crucial to add back lost volume, as well as Botox to stop muscles from recreating those deep wrinkles. They may seem like subtle youthful enhancements at the time, but they will help the facelift last longer. These are perfect options to push back or prevent the need for touch up surgery. An issue that the Facelift doesn’t address is the lips. Just as volume decreases in the rest of the face, age related volume loss affects the lips. You’ll want to maintain facial harmony and balance -throughout your face with youthful lips. Using a hyaluronic filler, such as Juvederm, to plump your lips will help enhance and maintain a youthful appearance after a Facelift. The cumulative affect of taking good care of your skin on a daily basis… really does pay off in the end. I suggest using clinically proven skin care, such as SkinMedica to help prolong the youthful effects of cosmetic procedures. On a regular basis it is also important to get special treatments for your skin. For example, chemical peels stimulate new skin growth to enhance skin clarity and smoothness. A chemical peel can wreak havoc on the skin and actually cause aging if done incorrectly, so please be sure to come to my office even for serious treatments such as this. These are the outside factors that cause the most skin damage and can reverse the benefits of a facelift real quick. Protect yourself from environmental pollution and the sun, which can damage the skin’s cellular integrity. This can show up as blotchy, uneven skin that is dehydrated and leathery. You should be concerned about what you eat not just for the calories or weight management, but to promote overall healthy cellular integrity. You skin is your biggest organ and reveals much about the overall healthy or unhealthy lifestyle choices you make. There are actually foods that boost collagen production, such as celery, cucumbers, tomatoes, dark green and colorful vegetables, fish, avocados, berries, white tea, garlic, fresh citrus fruits, oysters, and proteins like eggs, nuts and lean meats. Instead of drinking dehydrating beverages, such as coffee, tea or alcohol, drink lots of water. Sweeten with raw honey since it is a vitamin and mineral rich alternative to sugar, which causes inflammation and other unhealthy body responses. Maintain healthy weight instead of extreme gaining and losing. Smile more than you frown. You’ll use fewer wrinkle causing muscles and studies show that a positive, cheerful disposition can help keep you healthy. Feel and look great after a Facelift by implementing these tips. To talk about a Facelift or if you’ve already had one and would like the help to maintain the results as best as possible, schedule a consultation at www.davinciplastic.com. Celebrity Body Sculpting or Body Contouring has paved the way for the general population to see, adore and emulate. With increased celebrity presence in the public eye through social media, their influence is much more far reaching. Celebrities have set the “ideal” body types and facial features that are seen as desirable in our culture. So much so, that it isn’t rare to have patients request lips like Angelina Jolie, a nose like Kate Middleton or arms like Michelle Obama. This array of Body Sculpting cosmetic procedures can help you get the body you desire when you may not have access to a personal chef, stylist, trainer and unlimited financial resources like the celebrities. I want my patients to be healthy and feel good in their own skin. Finding the right Body Contouring procedures for you can build confidence that can help in all areas of life, including the possibility of a job promotion and finding a love connection. Let’s talk now and design your ideal Body Sculpting Plan so that you can have your best, healthiest body coming into the summer swimsuit season and beyond. 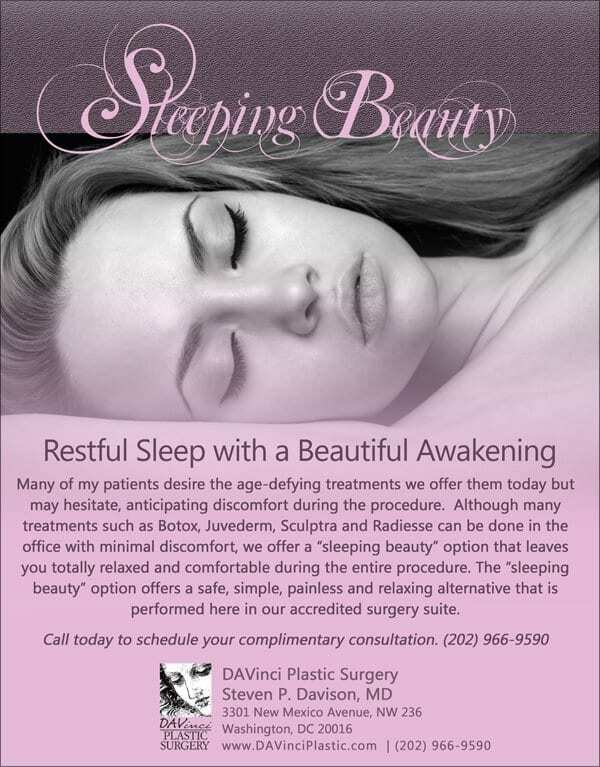 Visit www.davinciplastic.com to schedule a consultation. Men, you don’t want the ladies getting all the good looks, do you? The stigma of cosmetic procedures being just for the women was thrown out the window long ago. While the mommies are coming in for their makeovers, daddy should get a “do over”, too. Men are taking charge of their looks by getting rejuvenating treatments and procedures as part of their health, confidence and career maintaining/building regimen. COSMETIC SURGERY CONTRIBUTING TOWARDS WORKPLACE SUCCESS…Everyone is noticing the difference that a youthful, energetic, healthy appearance makes when it comes to perception and promotion at the office and with clients. As you get to the top of the corporate ladder the pressure is even greater to “look the part.” Good looks are expected if the executive role requires any public exposure. Companies want to look good in part by being represented by people who look good. remove unwanted bumps, asymmetries, depressions, etc. refine the inadequate nose tip projection (e.g. age related droopy tips) or by slimming and narrowing any disproportionate aspect of the nose. 1. CHIN AUGMENTATION with Implants or Injectable Fillers that are tailored to your specific needs and goals. Whether your desire is for a more rugged, stronger chin, or to achieve facial Achbalance, this can restore a natural, more youthful appearance. And don’t forget that you can say goodbye to that double chin by removing that unwelcome pocket of fat with LIPOSUCTION. And don’t forget about those quick in and out treatments with BOTOX (Brotox) and hyaluronic acid fillers like RESTYLANE, JUVEDERM and PERLANE that can instantly get rid of those forehead and frown lines and contour the face. So dads, let’s talk about how you can take control of your image to accomplish a younger, healthier look with your Daddy Do Over. 1) Breast Procedures, Breast Augmentation with Implants, Breast Lift with/without Implants, Breast Reduction, Breast Reconstruction, Revision Breast Surgery (to correct undesirable results from a previous procedure.) My patients travel from around the world for my Premium Breast Procedures including Natrelle410 Supreme Breast Implants for the most natural results ever. 2) Anti Aging Instant Lifting Filler Facelifts using a blend of our advanced injectables such as: Fat Grafting (fat transfer) Juvederm, Radiesse, Restylane, Botox, Sculptra, Belotero etc. These lifting, age erasing treatments involve a blend of injectable to remove lines, wrinkles, grooves and overall facial aging by replacing volume and restoring natural contour. Every filler serves a specific purpose. Some of them give instant volume replacement while lifting and smoothing out wrinkles and stimulating your own collagen production for long term benefits. 3) Non Surgical Brow Lifts, Cheek Lifts, Mouth Lifts, Lip Augmentation and more can be achieved with today’s “miracle” injectables! Liquid Lifts define the eyes, elevate the browns, lift the sagging mouth corners, Plump up deflated, aging lips to restore sensuous beauty…and much more. 4) Laser Skin Treatments for skin tightening, skin irregularities, blemishes, rosacea, to remove signs of aging (lines/wrinkles), brown spots and red spots and other treatments. 5) Tummy tucks (Abdominoplasty) is in high demand as Boomers are getting more cosmetic and plastic surgery treatments as part of their normal health maintenance programs. Thigh Lifts, Arm Lifts,…any are with sagging skin and relaxed muscles can be lifted and tightened. 6) Facelifts and Necklifts to keep one “Aging Beautifully” when injectables and mini procedures no longer work or when one has waited too long to begin the anti aging program and fullblown treatments are needed for desirable results. Check out all the procedures offered at DAVinci: HTTP://www.davinciplastic.com. A GRANDMOTHER’s TRUE STORY “As a school teacher, we get used to children’s often cruel comments and hurtful questions. One such question sent me running to my plastic surgeon: “Mrs. Nichol’s, why does your neck wobble? : After years of doing for my family, I decided it was time to do something nice and rewarding for myself. My surgeon and I created a “GrandMommy Makeover’ and went to work! Now I will age beautifully and more youthfully. ONE MOTHER’S TRUE STORY I gave birth to my daughter when I was 44 and often endured people remarking: “Oh, your granddaughter is so adorable.” This occurred regularly, even when she was a baby and it only got worse as we both aged. Yes, I recently completed the final procedure for my “Mommy Makeover.” I’m loving it! Now people ask my daughter if she and I are sisters! Here are some helpful anti aging nutrition tips: go for bright colors when selecting fruits and vegetables. Choose pomegranate with lime for refreshing summertime drinks and don’t forget Green Tea is loaded with antioxidents too. Drink it iced for a change and combine it with powerful antioxidants like pomegranate juice or shakes. BUYER BEWARE FLASH NEWS: Recently the FDA levied a warning on Lancome due to false anti wrinkle claims. BEWARE of broad spectrum claims made by cosmetic companies. FDA defines broad spectrum as protecting against both UVA and UVB ultraviolet rays. Remember to stay well hydrated this summer…especially on beach days. Have fun and stay healthy! SLEEPING BEAUTY a Twilight Sleep for Painless Botox®, Juvederm, Radiesse, Sculptra and much more! You go to sleep relaxed and comfortable and wake up Beautiful! Many of my patients love the many age-defying procedures I can offer them today, and even though Nora and I are specially trained and certified expert injectors, there is still some discomfort with an injection, period! My patients hate the discomfort that goes along with many of the treatments I offer, such as Juvederm, Botox, Sculptra and Radiesse injectables. There is a remedy for this too…read on. I began offering “sleeping beauty” twilight sleep option to my patients a few years ago. It means you are totally relaxed and comfortable during your entire procedure. TWILIGHT SLEEP is safe, simple, painless and relaxing! Performed in our accredited Operating Room, Twilight sleep, or light sedation, involves an IV in the back of the hand, which puts you into a relaxed state, without the risks associated with general anesthesia. This allows for a faster recovery since you breathe on your own during the procedure, and you can wake up quickly without that “hung over” feeling. When you wake up, like Sleeping Beauty in the Fairy Tale story…you really do feel rejuvenated and beautiful! SLEEPING BEAUTY is THE SEDATION OF CHOICE TODAY! Now that it’s been used for a few years and is tried and proven safe and effective, Sleeping Beauty sedation is the sedation of choice today and is used not only for injections, but for other simple cosmetic procedures as well. Be sure to request it for your next treatment. It’s true, women in the United States aged 25-34 are now beginning to pay more attention to the signs of aging. They are also actively looking for treatments and products to effectively address their concerns. Results tell us that 39% of these women understand the importance of starting anti aging treatments early and they are doing so. They are concerned with skin health such as spots and blotches, oily skin, dry skin and ways to correct these issues. They also don’t like the early signs of lines and wrinkles and seek ways to prevent them. Overall, Gen Y women want to combat aging and are willing to start sooner rather than later. They are seekers…we have remedies! Generation Y men are close behind and feel cosmetic procedures are part of their normal health routine and job security. Understanding the complex facial anatomy is key to knowing what to use, how much to use and where to use it. At DAVinci we are highly skilled and specially trained as expert injectors. The results are beautiful! At DAVinci, our main concern is what concerns you! Come in and let’s chat so we can help you look and feel your very best! You will be ready for the Holidays if you start now.